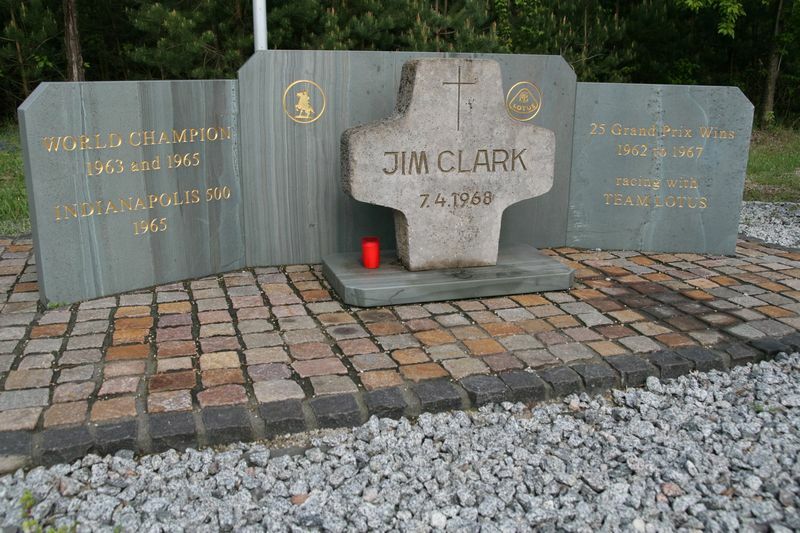 The Jim Clark Memorial(s), Hockenheim. 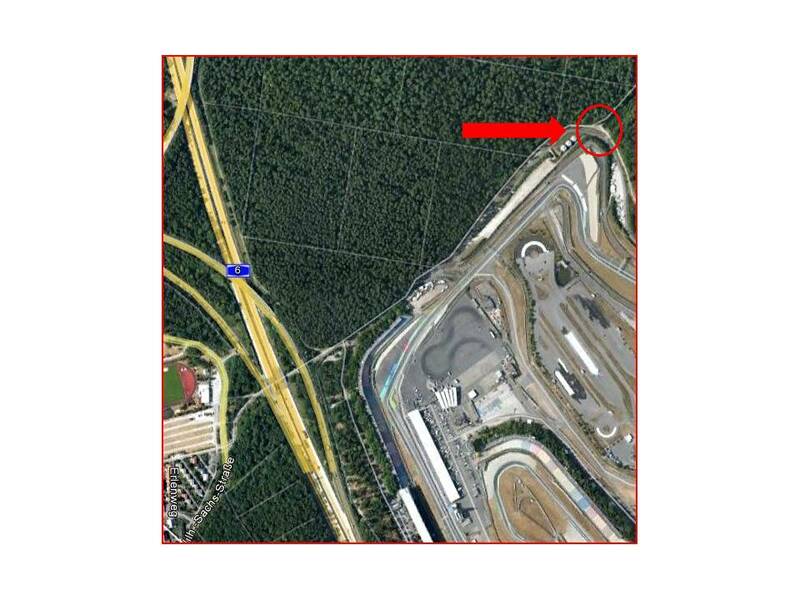 Just in case this should ever be at all useful to anyone, I thought it worth logging the location of the original Jim Clark memorial at Hockenheim. We managed to track this down on a trip to Germany last month following vague directions found on the web. This will hopefully be a more tractable guide. 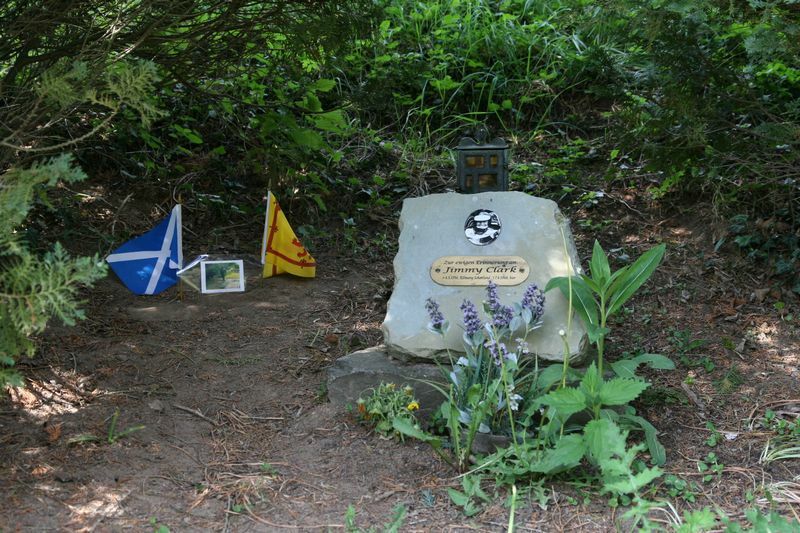 The startpoint for our mini-adventure was the new Jim Clark memorial, located in the small layby in the red circle. There's two options to get here, either park opposite the main grandstand on the circuit and walk (perhaps visiting the motorsport museum first), or cheekily drive up the side of the circuit and (briefly) along the wide cycle path directly to the memorial. 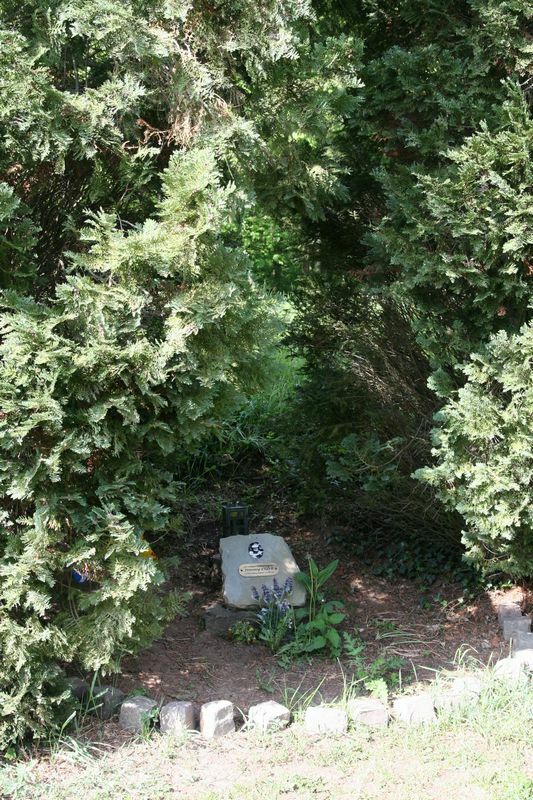 Now, onwards to the original site of the memorial. Facing the stone cross, take the cycle path off to your left-hand side, leading pretty much straight ahead (north-east). After around a quarter of a mile, you'll meet a clear crossroads in the track. Carry straight on (slight kink left), heading almost due north. Ignore the path leading off to the left after 200 yards. Instead, walk up to the bridge over a small stream about a third of a mile from the crossroads. Don't cross the bridge, instead keep on the southern bank, turn right and walk along the fairly easy to follow grassy path. After half a mile, the trees open out on the right as the path picks up the newer growth over what was the old circuit. Useful? Suggestions/corrections? Drop me a line at hockenheim(at)thejordans(dot)org(dot)uk!